Customer Picture Number 481 Selected. Cool Car decals applied. 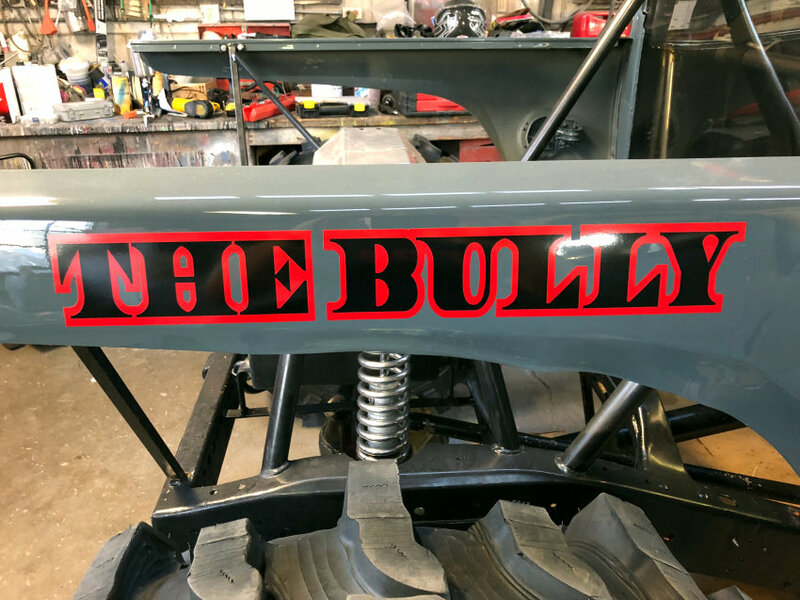 The Bully red and black vinyl decal on Dennis' ride. I can only imagine what the rest of this insane looking creation looks like, and what it can do! Two layer custom made The Bully decal in red and black gloss vinyl.